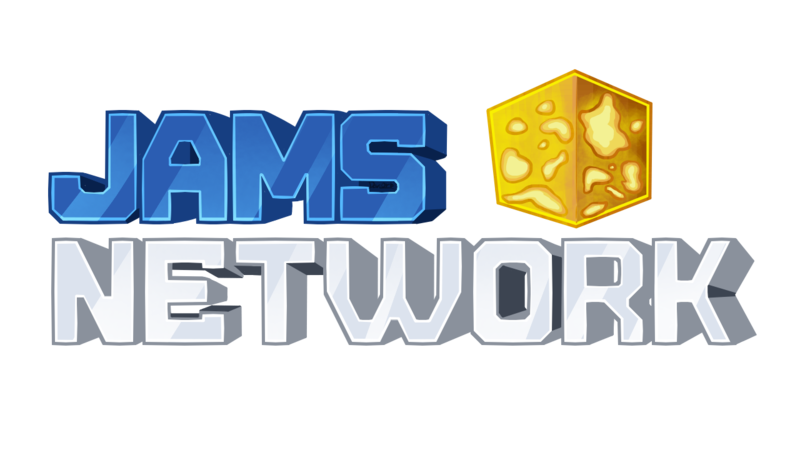 JAMS Network (Just Another Minecraft Server) is an upcoming Minecraft Server, using the Server Software Glowstone. This server will be MiniGames based, with a couple of MiniGames to start with, and more will be added in the future. JAMS Network will be a server using the BungeeCord proxy, with most of the plugins written by our team. What version of Minecraft do i need to use to connect to the server? You are going to be able to connect with Minecraft 1.8.x, 1.9.x, 1.10.x, 1.11.x and 1.12.x. Please bear in mind that this might change in the future. But of course, we will always recommend using the latest version. When will this server be public? The server will be public when we’re done. There is no release date as of now, but in a few months we will open the server for a “test”. Yes, we do. It is available here. Can i contribute to/help this server in any way? Yes, you can! We are always looking for people that want to help us, and maybe be part of the team! You can talk with us on our forum at any time! Yes, we do! You can join by clicking this link.